Cooking Classes @ GW Apartments! Four-course lunch, made up of the dishes you’ll prepare. You’ll receive a booklet with the recipes in English, which you have prepared, for you to practice at home! The tour is for a minimum of 2 people and a maximum of 6. You will be met just before 9 am at Rialto Market, full meeting details are sent a week before arrival. Share this Venice tour with your friends! Do you want to learn to cook authentic Italian dishes but do not want to join a class with other people? Simple, let’s organize a private Door –to-Door cooking class in your Good Wine apartment! Our two local cooks will come to your Good Wine apartment to guide you, through a fun day of cooking, right in your very own kitchen. The class starts with a trip to the Rialto Market to shop for the fresh ingredients needed for the lesson. You will get to pick your own favorite vegetable and fish! Discover Venice through its food and learn to cook like a true Venetian mama. Take a cooking class in Venice: it is a great way to experience the city in a different way, no matter what your reason is for being in Italy. Learn about Venice’s best regional recipes in this small group hands-on cooking class. This Venetian half-day cooking class includes a guided visit to the famous Rialto Market, the fish and vegetable market of Venice, where you will be able to pick all the ingredients needed for the lesson with the help of two local cooks. You will then learn to prepare an authentic meal based on traditional Venetian recipes like baccala’ mantecato, risotto and tiramisu and when your work is done, you will sit down to a full lunch. Wine is not included. Please refer to Good Wine Apartment for a list of available wine for sale. Booklet with the recipes in English, which you have prepared, for you to practice at home! This cooking class is also available for gluten free, lactose free, egg free requirements as well as for vegetarians. Besides, if you have any food allergies or special preferences we’ll be happy to adapt the menu for you. 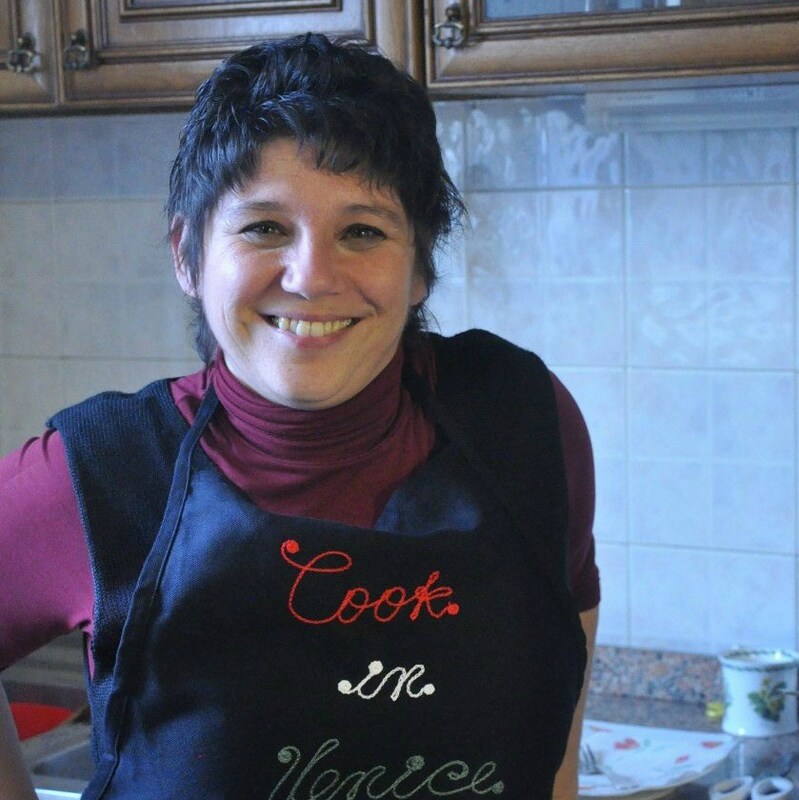 Monica Cesarato is a food and travel blogger, a culinary guide and a cooking instructor from Venice. As well as writing regularly for a variety of online magazine, she organizes Cicchetti Food Tours and cooking lessons as Cook In Venice. Her articles have been published in La Gazzetta Italiana, The Local, A Taste of Venice, Trivago UK, as well as many travel and food blogs and she recently appeared in the Venice episode of Alex Polizzi’s Secret Italy. Cook In Venice’s cooking lessons and tours are featured in the Lonely Planet. Monica is currently writing a book about Cicchetti with the historic cook of Osteria La Vedova, one of the oldest bàcaros in Venice. Classes are held Monday to Saturday. Children under 5 are free, but must be accompanied by at least two adults. Children aged 5 to 13 pay half price, but must be always accompanied by at least two adults. Children 13 and older are charged as an adult. To make your reservation first send us an email to check for availability on the required dates by using the form below. Once the availability is confirmed you will be sent information on how to pay your deposit of euro 35.00 per booking, not per person. The remaining balance is due in cash on the day of the tour. The deposit is non refundable in case of no-show or cancellation less than 24 hours before the tour is due.